I try not to be too trombone-centric in my listening or writing, but this post is about new music from two trombonist led trios. 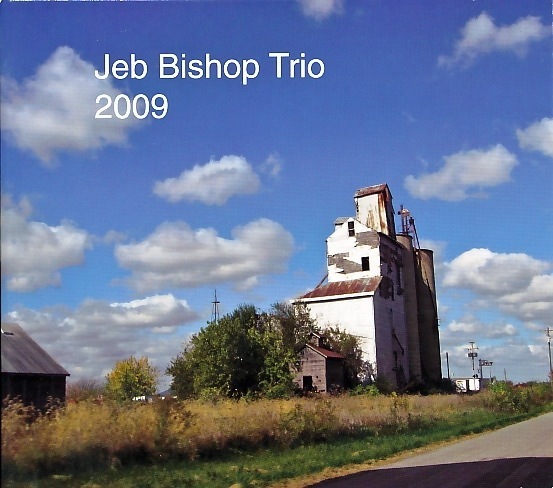 Jeb Bishop has just released a CD by his new trio that features Jason Roebke on bass, and Frank Rosaly on drums. Jeb was one of my favorite trombonists before he became a close friend, collaborator, and colleague. I think this is some of his best recorded work. I was honored that Jeb asked me to mix and master this CD (or at least turn the virtual knobs and faders until he liked what he heard). I spent lots of time with this music in my ears throughout the mixing process, and I still like to listen to it. That’s a pretty strong endorsement. You can hear samples at CD Baby. In other trombone trio news, Jacob Garchik has posted a recording of his trio that was made at Ibeam in Brooklyn on April 10, 2010. There is a zip file of 256k mp3s, and youtube video of the entire concert as well. Check it out here. In the past couple of days, I have been extensively quoted, and not quoted all over the internet. Jeff Albert on Where does the money come from? Brian on Where does the money come from? Patrick McCurry on Where does the money come from?